It is 1807. Lady Mazzing has invited eight young ladies to her mansion for supper. Her only son Lord Edward Mazzing will be there to greet the guests, but he will not be joining them for dinner. Secretly Lady Mazzing views this as an opportunity find a suitable marriage partner for her son. It is 1807. Lady Mazzing has invited eight young ladies to her mansion for supper as she would like their advice about the next ball she is planning to hold. Her one and only son Lord Edward Mazzing will be there to greet the guests, but he will not be joining them for dinner as he has other work commitments. Since his father’s death two years ago, the young Lord has taken over the responsibility of managing their large estate. Secretly Lady Mazzing views this as an opportunity to acquaint herself with the young ladies who may be suitable marriage partners for her son. Lady Marion Mazzing: A rather prim lady of very particular tastes. She is very involved in her community. She is a handsome woman and has all the dignity of her rank. Lord Edward Mazzing: Although a very charming, handsome man, he has the reputation of trifling on women’s feelings as he moves from one flower to the next. He is very wealthy and somewhat arrogant. Inspector Morgan: As a man of the law, he is serious by nature. He is a wise man who knows that what sometimes appears to be the truth, is not always the case. Miss Prunella Braithwaite: She loves capturing the beauty of flowers in her watercolors. She is a refined and gentle young lady of somewhat delicate disposition. Her father has extensive business investments in Virginia. As she is altruistic in nature, she spends a lot of time doing good works for the poor. She is a very kind hearted person. Miss Bethany Chesterfield: She is fond of riding side-saddle and loves the outdoors. Her parents worry that she is somewhat more forthright than a lady should be and apt to be quarrelsome in nature. Her parents money comes from a gunpowder factory they own. She find the restrictions of civil life amusing and does all she can to ignore these constraints. Miss Wilma Winterflood: She excels at tapestry and singing and is a lady skilled in all the social graces. Her parents are very well-respected and they are a powerful family in the community. But although she appears to be all gentleness and mildness, her brothers say she is rather headstrong and stubborn. Often she takes the buggy for a ride by herself much to her parents dismay. Miss Hyacinth Huntington: She is an only child and a somewhat shy young lady. She is very skilled at lacework and she loves Shakespeare especially the tragedies. There are rumors that her father has made some very bad investments and that their economic downfall is possible. She is terribly embarrassed by her situation as she is used to great wealth and all the luxuries it affords. Miss Charmaine Chamberlain: She is very gracious and she loves reading poetry. Her favorites are Samuel Taylor Coleridge and William Wordsworth. She is also a skilled pianist. Her father owns numerous cotton plantations. She travelled abroad with her family when she was younger and she yearns to travel again to London in particular. She misses the operas and plays it provided. Miss Emily Stratford: She is very intelligent and loves puzzles and is fond of writing. She has been secretly writing mystery novels under the non-deplume of James Ridley. She is very polite, but prefers to observe rather than talk. Her father is a surgeon and is very well-respected. Her mother is always trying to make her appear to be a silly little girl in public as she is afraid that Miss Emily’s mental abilities will frighten men from her. Her mother makes her wear pink and lots of frills and bows in her hair. Miss Elizabeth Montgomery: She is just back from finishing school in Paris. She is a great lover of fashion and is very fond of dancing. The waltz is her favorite. She is also excellent at singing. At the moment, she is passionate about the color mauve and she wears it a lot. She is rather conceited in nature and apt to talk endlessly about herself and none other. Her father runs a merchant shipping company. Miss Clorinda Rosemonde: Her father is a duke and he arranged for his gardener to plant a rose garden for her which she treasures. Her mother died when she was young and her brother is a General in the army. She is fond of entertaining and her father encourages her to hold tea parties and the like. She plays the flute admirably. Although she has no particular interest in getting married herself, she likes to play the role of matchmaker when she can. Note: The roles for Lady Mazzing, Lord Mazzing and Inspector Morgan are smaller than the other roles. 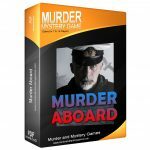 This game is sold by our good friends at Merri Mysteries. The Buy Game Now link (below) takes you straight to their web site where you can buy the game. 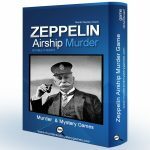 From $29.95 | Buy Game Now. After you checkout and pay, the game will be available for immediate download. “I recently ordered the 10 female only version of The Love Letter for my daughter’s 12th birthday party. It turned out better than I had expected. The girls (ages 11-13) enjoyed it immensely and really got into their roles. 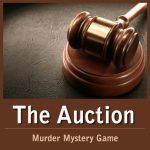 They were able to pick up on the idea faster than I thought they would and discussed who they thought the killer was in quite some detail before actually finding out. We even had one of the participants ask us to do this again next year. I would highly recommend this for other teens and pre-teens (provided that they are fairly good readers). 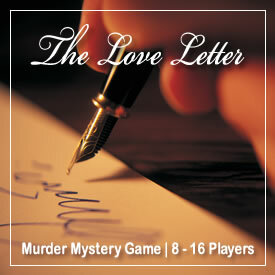 We played our first murder mystery, “The Love Letter” for our daughter’s 15th birthday party and had an amazing time! Everyone had great fun shopping at goodwill, etc for their costumes. Even our dog, Gizmo, wore a tuxedo. We followed your recommended menu, brought out the china and teapots and had a grand victorian time! Our son impressed the ladies as Lord Mazzing. Our daughter felt very special and she loved that her friends had such a unique experience! (We loved that it was clean fun too!) After dinner her friends stayed the night and watched Pride and Prejudice, Sense and Sensibility and other movies until 5:30am! 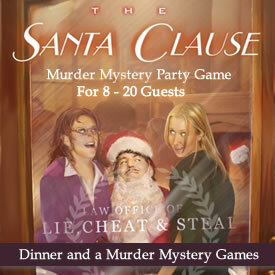 We were a little apprehensive about putting on a murder mystery party because we had never done one before. But it was so well written, organized and fun that our fears are gone! We just purchased another one for our oldest daughter’s 17th birthday party next month! Thank you for creating this wonderful party tool! 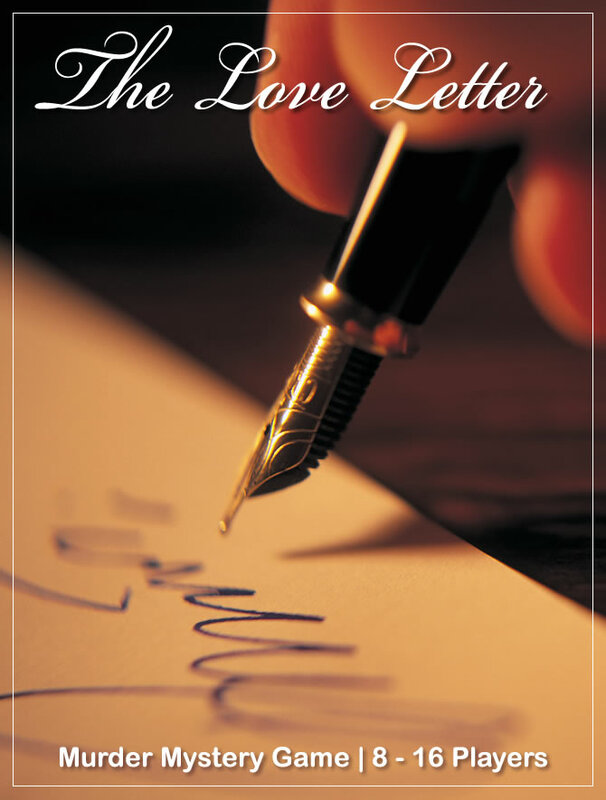 “Thank you so much for “The Love Letter”. The girls (all 11 and 12 yrs. old) had a blast! The invitations went out 3 weeks ahead of time, and the girls had great fun planning and talking about their costumes. The excitement was evident the night of the party. Many parents stopped in to see all the characters and to take pictures. Act 1 gave the girls an opportunity to get to know their characters. By Act 2, they were really into it—with lots of sobbing, accusatory tones, etc. Act 3 was quite dramatic. The girls would love to do something like this again. So, we’ll be shopping around your site to find another mystery. Again, thanks so much for all the help you provided along the way. 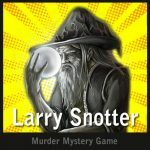 “I purchased your mystery kit “The Love Letter” for my daughters 13th birthday party. The event was an elaborate 3-course meal with a surprise visit from Lord Mazzing, played by a friend of Whitney’s. Fourteen girls participated along with grandparents, parents, and siblings as servants. All were attired in character with many in period correct 1800’s dress! A fabulous time was had by all. Thank you for such a great party idea. “Hello, We just had “The Love Letter” murder mystery party for my daughter’s eighteenth birthday. Not one of the girls had attended a murder dinner party before. All of them came in costume and all of them had a blast. As you can see from the photo they all dressed their part…down to the gloves that were suggested. Thanks again for making this party simple to download to all the great suggestions on how to make the party a success. It was! 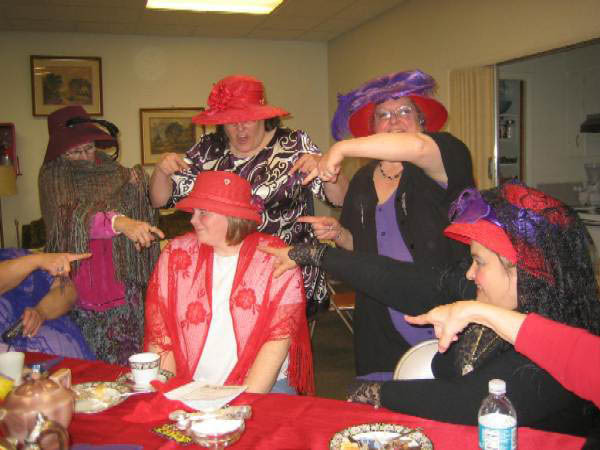 “Our red hat group had such fun with this play. We particularly loved getting dressed up on the victorian era clothes. It was great fun.